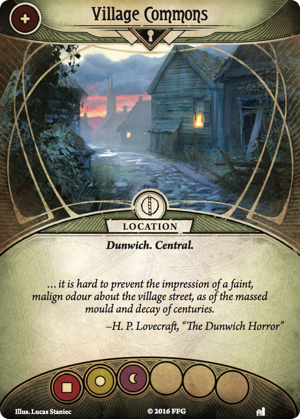 In Blood on the Altar, as you and your fellow investigators explore the connections between Dunwich and recent events, you'll find the town's missing people chief among your concerns. 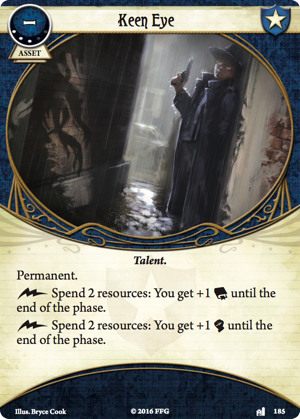 You may even find it somewhat unnerving that they've gone missing just before you arrived—and that they might have been taken at the same time you were confronting terrifying, otherworldly creatures on a train, in a museum, or in the private underground corridors of an Arkham speakeasy. So why do you hear so little about these missing people? You'd think in a town as small as Dunwich that the disappearances would have left a larger footprint. Shouldn't someone have seen something? Shouldn't the local officials have named one or more suspects? The more you investigate, the more you suspect you're making a target of yourself. You're almost certain the missing people are hidden somewhere in the village, and you have to believe that if you're not careful, you're likely to join them. The quiet, creepy village of Dunwich comes alive in Blood on the Altar as a series of locations encircling the Village Commons. You'll be instructed to select these locations at random during setup, and then you'll distribute five facedown cards between them, placing one beneath each of the locations other than Village Commons. This means that you'll find new secrets and mysteries lurking behind every Dunwich door. Naturally, you'll still reveal a location the first time you travel to it, and you'll still encounter whatever mysteries the location itself may yield. 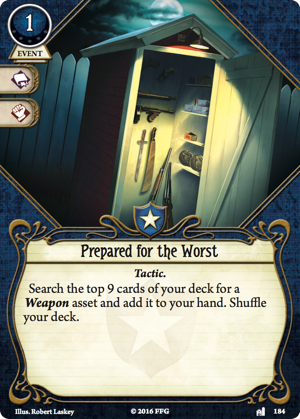 But in Blood on the Altar, each time you finish investigating a location, you'll find yourself stumbling into an extra encounter card. This is both good and bad. It's bad in the sense that you're likely to face more terrors, find yourself forced to survive additional treacheries, and maybe even stumble into a nest of brutal pitchfork-wielding cultists. 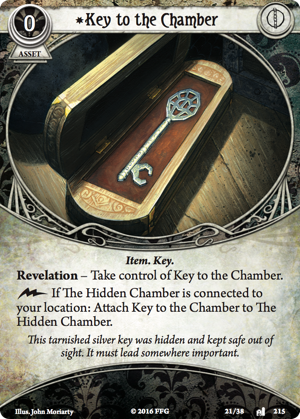 But it's good in the sense that two of the facedown cards are The Hidden Chamber and the Key to the Chamber (Blood on the Altar, 215), which you need in order to gain access and, presumably, find the missing villagers. 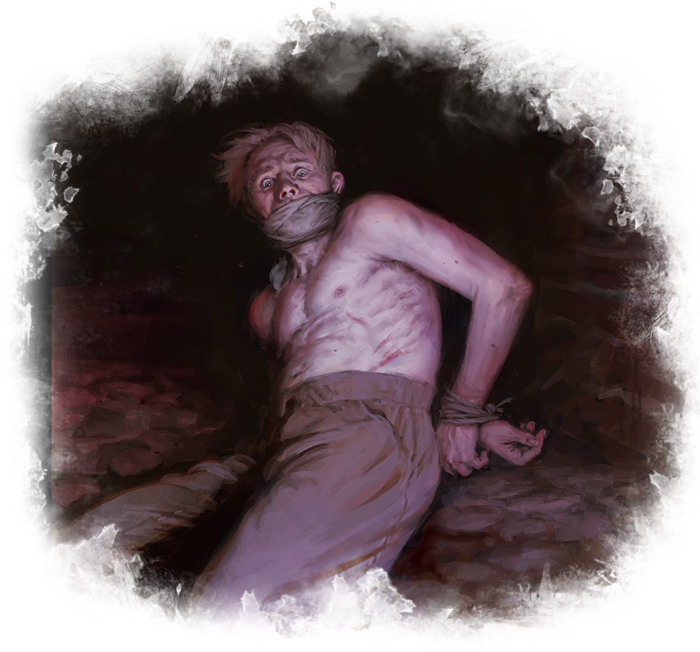 Still, this is Arkham Horror: The Card Game, and whether or not you find the villagers, it's a safe bet the chains and manacles you'll find in The Hidden Chamber aren't just for show. So what will you find when you pass the chamber door? How might your discovery inform your larger investigation? With so much to accomplish in Dunwich and so little time, you'll need to make every moment count. Preparation is key. 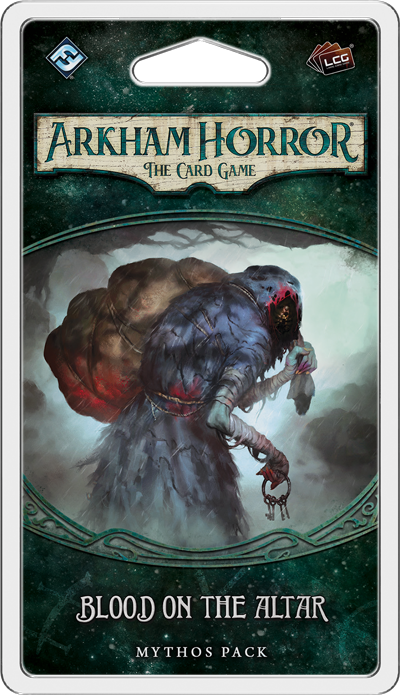 Fortunately, even though you won't really know what sort of horrifying things you might encounter—until they're staring you in the face—you'll find that the player cards from Blood on the Altar give you plenty of new ways to ready yourself for whatever terrors may come. 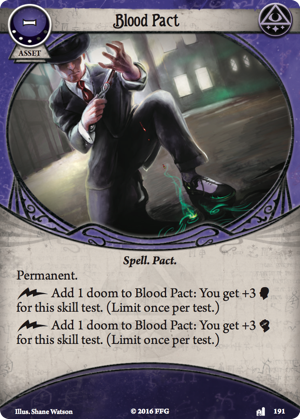 For starters, in our announcement of Blood on the Altar, we already revealed how you might use the experience you've gained over your earlier adventures to develop a Permanent new Talent, like Keen Eye (Blood on the Altar, 185) or Blood Pact (Blood on the Altar, 191), that can give you an immediate leg up as you begin your investigations. But there are times that no measure of talent will prove sufficient. Sometimes you just need the right gear. You don't want to confront an Ancient One with nothing but your fists and wits. Really, you don't want to face an Ancient One at all… but if you absolutely must, you should be Prepared for the Worst (Blood on the Altar, 184). Not only is it a solid Tactic to make sure you've got the right Weapon for the job. But any confrontation with an Ancient One—or even just a towering aberration or some servitor of the Ancient One—is probably as close to "the worst" as you're going to get. 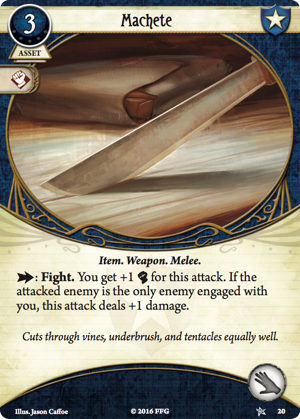 You might as well have a gun or a Machete (Core Set, 20). You'll probably still be devoured, but you might be able to make the thing bleed a little before you fall. There's even a chance—ever so slight—that if you and your companions are all well armed and able to catch your foe off-guard, you might survive your encounter. And then? One resource is a small price to pay to have your Weapon when you need it most. Quiet and disconcerting in the daylight, the town of Dunwich assumes an even more sinister tenor at night. There are… things… no one should ever have to see. But it's your job to find them. To fight them. To learn the truth behind them. The time is coming to peel back another layer of The Dunwich Legacy. Blood on the Altar (AHC05) arrives at retailers next Thursday!